Pha Suk Maneejak Temple or Wat Pha Suk Muang Thong is the most visited in Muang Thong Thani. This temple is a place where many locals go to pray and make merit. It is also a great spot for leisure activities. Pha Suk Temple is the main place near IMPACT where you can recharge their soul. Temples are a sacred place for Buddhists and there are many around IMPACT. Still, Wat Pha Suk is a favourite in the neighbourhood. This is because it has spectacular Buddha statues. 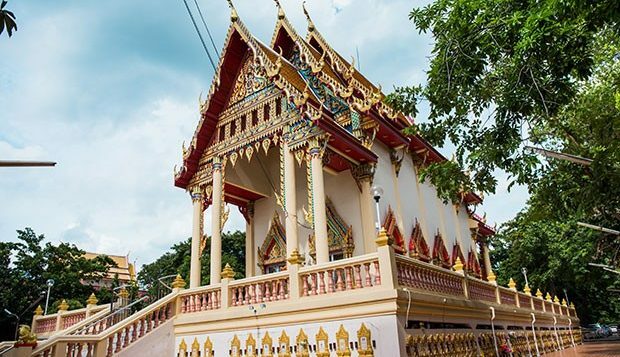 Wat Pha Suk is a must see destination in Muang Thong Thani. IMPACT Muang Thong Thani is the largest meeting space in Thailand. It welcomes millions of visitors every year. It is also a big residential area with lots of locals living around. Wat Pha Suk is the only temple just a few minutes from IMPACT Convention Centre. It is a small temple, but has a beautiful Thai architecture reflecting Buddhism. It also is perfect for quick visit from Novotel Bangkok IMPACT. You can explore the peaceful and beautiful surroundings. It opens at 05:00 am and closes at 9:30 pm. 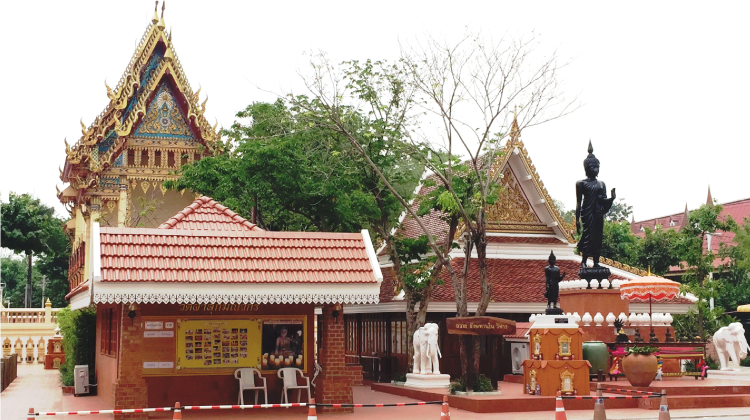 Wat Phasuk Maneechak has many sacred objects like the famous white jade Buddha statue. This statue is stunning and ancient, which many worship and make merit to. The temple also provides cremation services for dog lovers. It is one of the most familiar temples to say goodbye to your furry friend. There are many choices for food around the temple. Wat Pha Suk is full of options for great Thai food. Visitors can enjoy a wide range of restaurants, street food and cafés. Khun Maung Noodles and Nittaya Kai Yang are local favourites. The beef noodles, papaya salad with grilled chicken and sticky rice are a must try! Before heading back to Novotel Bangkok IMPACT, stop by Florist shop and Mae Wimon. You can find gifts and Thai snacks as well as handmade dolls. Mae Wimon offers the famous Pan Sib which are fried fish dumplings. It is very easy to get to Wat Pha Suk from Novotel Bangkok IMPACT. The IMPACT shuttle going to BeeHive will drop you off on the way. It is also a quick five minute drive by taxi. For more information please contact our friendly concierge.